Managing Creativity: Media ‘mission impossible’? Creativity in the media industries, as noted by Lucy Kung (2008), is arguably more important for business competitive advantage than it is in other industries. The creativity in the working ‘capital’ of ideas, new concepts and even technologies in magazine publishing is often cited as crucial for a dynamic industry that has been heavily impacted on by digital media. (Señor et al 2014). At a wider, more macroeconomic, unit of analysis, creativity is often cited as the key driver for developing new creatively-managed post-information age businesses (Xu & Rickards 2007), part of a wider new creative economy (Florida 2004, Leadbeater et al 2001). En route to understanding more about the management of creativity in a sector like media (an area that I have worked within as a journalist, editor and academic ), the greatest challenge is the complexity of a subject that has its roots in unfamiliar areas, such as cognitive psychology, and the study of eminent individuals. It’s a subject perhaps that only enters ‘hands on’ management practice via very different understandings, depending on what you manage and perhaps whether you might be an art director or a more commercially focused publisher or sales manager (Banks et al 2002). Creativity theory has not helped such confusions, and is seen by many as minefield of definitional and philosophical debates, an area that sees different fields of knowledge define it, and assess it in different ways (Hennessey & Amabile 2010, Villalba 2008). These ‘definitional problems’ of creativity broadly consists of two opposing views on what creativity is. At one end of a spectrum, psychology has mainly seen creativity as the work of extraordinary outputs by extraordinary people (Simonton 1976, Sternberg, 2000, Csikszentmihalyi 1988). Here the emphasis in research has traditionally been on cognitive processes, skills dependent on traits such a divergent thinking, and also societal factors such as cultures and people’s upbringing. This has brought into common understanding the idea of creative scarcity, and creativity as something genius like, that only the few can be endowed with – a view said to influence media management’s ‘heroic’ school of thought about creative talent (Bilton 2007). At the other end of the definitional spectrum, policy makers, educationalists and sociologists position creativity as something not scarce but entirely ubiquitous (Banaji et al 2006) – creativity as something that everyone is full of and its causes are no more ‘genius’ than having to make something novel or to take ordinary steps towards large tasks (Wiseberg 1993). This sort of ‘Small C’ versus ‘Big C’ creativity understanding has influenced the human relations school of thought on management via motivational theory (Amabile and Pillemer 2012) as well the common practices for generic thinking skills, in the form of brainstorming and other related techniques from Osborn (1953) and more latterly via De Bono (1987). With such lack of objectivity in definition for the field of management studies, it is unsurprising to theorists of creativity within media that ‘management and creativity’ seem not entirely compatible (Dwyer 2016 p343). Traditionally viewed as pulling in opposite directions, creative freedom sits uneasily against the historical methods of management’s rational, bureaucratic control (Weber 1947). Despite the potential for a new ‘creative management’ domain of theory-grounded practice (Xu & Ricards op cit p 226), the problem facing media management is that creativity remains largely so mercurial as to be unworkable, and its management often consisting little more than procurement of ‘people with ideas’. According to Dwyer, “somehow or other media organisations must find ways to manage creativity” (op. cit. p 344) ), adding to calls for further research in media contexts (Banks et al 2002, Bilton 2007, Kung 2008). 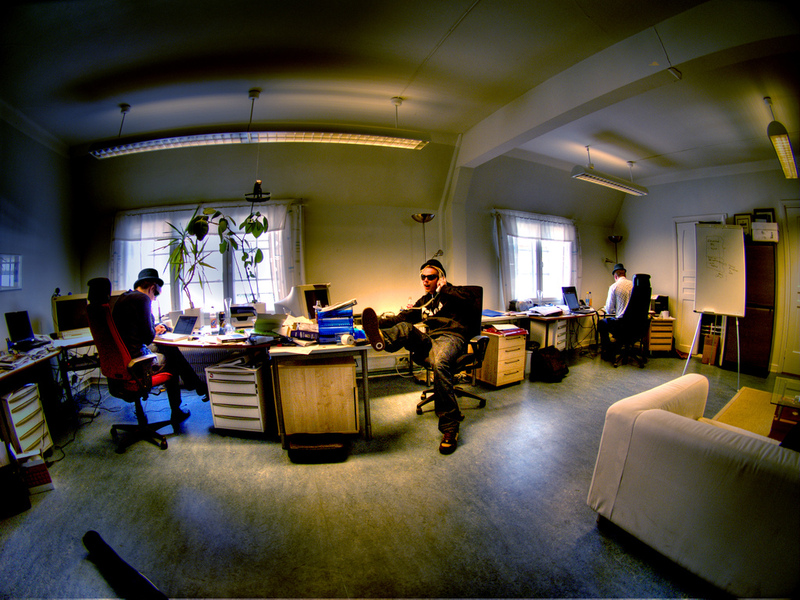 Picture: Harri (exec VP), Jufo (VP of Marketing) and Micki (CEO) in the Damagement room at the Hybrid office in Helsinki. Image (Creative Commons) by Jufo. 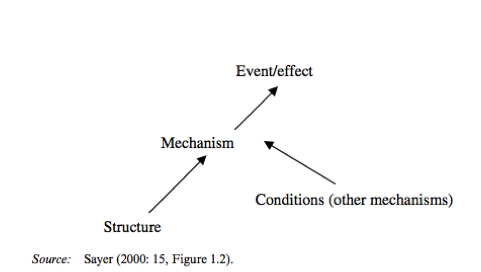 Amabile, T. (1996) Creativity in Context Boulder: Westview Press 1996 Amabile, T. M. and Pillemer, J. (2012), Perspectives on the Social Psychology of Creativity. The Journal of Creative Behavior, 46: 3–15. Banaji, S., Burn, A., & Buckingham, D. (2006). The rhetorics of creativity: A review of the literature. London: Arts Council. Batey, M. (2012). The Measurement of Creativity: From Definitional Consensus to the Introduction of a New Heuristic Framework. Creativity Research Journal, 24(1), pp.55-65. Florida, R. (2004) The rise of the creative class… And how it’s transforming work, leisure, community and everyday life. New York: Basic Books. Gruber, H. E. and Wallace, D. B. (1999). The case study method and evolving system approach for understanding unique creative people at work. In R.J. Sternberg (ed.) Handbook of Creativity, pp. 3-16. London: Cambridge University Press. Hennessey, Beth A., and Teresa M. Amabile (2010) Creativity. Annual Review of Psychology 61 569–598. Leadbeater, C & Oakley K. (2001) Surfing the Long Wave: knowledge Entrepreneurship in Britain. Demos Publications. Señor, J. Wilpers, J & Giner, J (2014). Innovations in magazines 2014 world report. 5th ed. London: FIPP. Sternberg, R. J. (2000). Identifying and developing creative giftedness. Roeper Review, 23, 60-65. Sternberg, R. J. and Lubart, T. I. (1991). An investment theory of creativity and its development, Human Development, 34, 1-32. 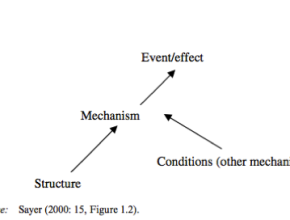 Meaning in Method: Critical Realism in Creative Industries Research? After meeting with the CIMRH team to discuss methodologies for our research, it left me thinking about two things: (i) how much we’d all delved into the ontological debates about social science in the last six months and (ii) given discussion about ‘reflexive’ approaches – can there be ground between positivism and interpretvism ? Having shown my colleagues a research plan around creativity in the magazine industry, one which aims to identify independent and dependent ‘variables’, I felt I may have looked like I’d nailed my colours to the mast. Was I now a positivist? ‘Variables?’ some may ask, ‘that’s the stuff of labs, and ignoring the complexity of our shifting world’. If so, that feels a bit uncomfortable. It’s a bit like not supporting the honest fight of the Sociological School of Samson against the Goliath of headstrong ‘pseudo-science’ in business and management studies. The way answer to this question – whether my thinking is positivistic or not – is answered as a ‘yes’ and ‘no’ by developing a pragmatic and practical philosophy to research. When a subject which has no overarching theory, such as creativity, with no agreed definition, there is a tendency to go around in circles in trying to research aspects of it. After all, if we can’t define it, we can’t observe it in a study. For example, where is the ontological ‘reality’ in creativity where the unit or level of analysis is in the mind or where it is in the wider sociological environment? Where variables help, is to hypothesise, create a focus, hold some things constant and work towards suggesting causality at the levels the researcher is interested in (creativity at publisher and magazine level in a company in my case). And though variables imply positivism “and worse numbers” (a quote from media studies professor I’ve been speaking to), a ‘hybrid’ route to doing this without being a positivistic bad-guy, is via post positivism – and perhaps in a methodological vehicle I have found in Critical Realism or CR. One common area of all our CIMRH research, is to explore aspects of management, strategy, creativity and innovation. In my quest, the first step I am making is to identify the measure of creativity in ‘products’, given the causes that I’m looking at. While ontological questions about the reality of creativity needs to be grounded in what might be called a ‘positivist’ view (that reality is mind-independent), a pragmatic view about perceptions, people and their processes might also benefit from the an ‘interpretivist’ approach. A magazine, for example, can be defined by both its real, physical attributes – quantifiable qualities such as look, size and its circulation. It can also have a reality as a brand, a narrative that goes with the brand and a perception, which is not independent of people’s minds. Given this duality in the magazine ‘reality’, an approach to making meaning of what may lead to innovation must also accept this, seeing people, products and processes as not static. Roy Bhaskar’s influential A Realist Philosophy of Science (1975) lead to much interest in social science about Critical Realism, a work which aimed to unify approaches in natural and social sciences. Now gaining interest as a vehicle in fields such as entrepreneurial research, Blundell (2007), makes the claim: ‘the case for qualitative research informed by CR is that it has the potential to produce ‘better stories’ that could form the basis for more sophisticated causal explanations’. Its focus on mechanisms dependent on contextual structure and contingent factors outside of a focal point (see diagram) and a 360 approach to methods, seems to be the pragmatic approach that I may need to ‘square the circle’ of interpretivism. Creativity and its management through variables – yes, but developed through reasoned, purposeful case studies and data generated by phenomenographic, biographical approaches as well as through published data in desk research. Blundel, R (2007). Critical realism: a suitable vehicle for entrepreneurship research? In: H. Neergaard and J. Ulhøi, ed., Handbook of qualitative research methods in entrepreneurship, 1st ed. Cheltenham: Edward Elgar, pp.49-74.